6 months on; is coaching worth it? 6 months ago an opportunity presented itself to work with the experienced life/business coach Charlotte Fowles. Coaching is something I’d never considered doing before. And if I’m honest I was a little sceptical. I saw coaching for those who don’t know what they want and I knew what I wanted (for the most part). At the time though I was losing steam with work and my ambitions so was willing to give anything ago. 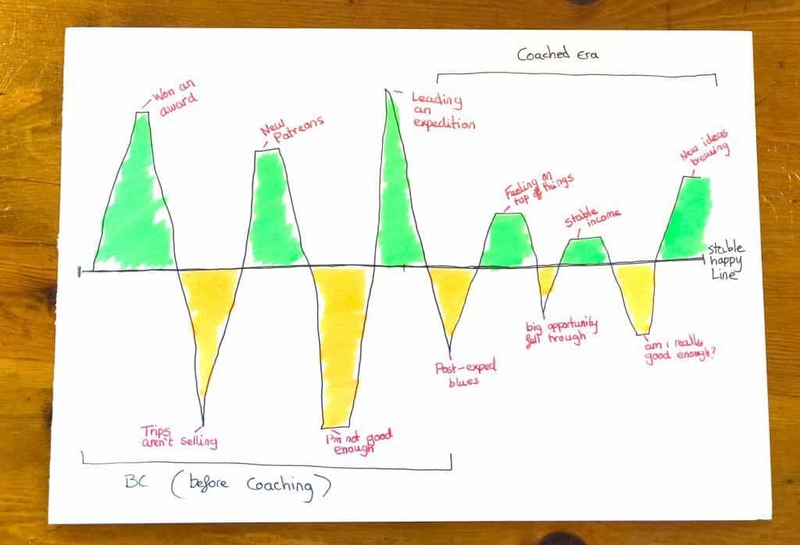 So with 6 months of support behind me I ask – is coaching worth it? 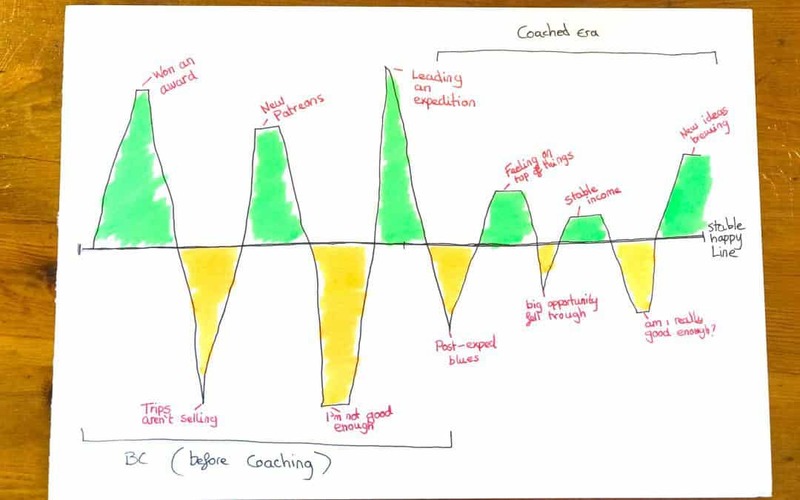 What does life and business coaching look like? Most of our coaching sessions would last an hour. We’d have our sessions over Skype and usually every 2-3 weeks (the flexibility of this really suited my lifestyle as I’m on the move so much). I think the biggest surprise for me was how much talking I was doing in each session. I thought coaching would be listening to advise and hearing views on my problems. It wasn’t like that at all! The sessions were about challenging me to find my own solutions to the problems I had. Charlotte would craft questions and sometimes highlight things that I said revealing deeper issues that I hadn’t realised were there. Without going through the process yourself it’s hard to imagine how effective it is coming up with the solutions yourself. It’s an amazing process! Initially, the coaching was very focused on my business problems from writer’s block, not having enough income to struggling to grow Patreon. Each session we’d tackle a problem and I’d leave with a list of action plans and a timeframe to get them done. The sessions really left me feeling motivated and having that accountability and time to break tasks down was invaluable. The results were pretty instant. In the first month of coaching, I put together an ambitious expedition and event schedule for the coming year for Love Her Wild. I launched the events (most of which are now full) and have guaranteed a chunk of my income for the next year (I can’t tell you what a relief that is!). In the second month, I focused on blogging. I went from not writing 3 blogs in 4 months to writing 40 blogs in 1 month!! In the beginning, my coaching sessions with Charlotte were very focused on work-related problems. This seemed to be working until I hit some issues that kept recurring. Problems that I just couldn’t make progress with. And this is where Charlotte changed her approach. The sessions became more challenging, delving deeper into beliefs I have about myself. I can tell you now it is not easy questioning those inner beliefs! I always considered myself to be quite reflective and aware of myself. But I’ve found barriers and obscure beliefs in me that I never knew existed. Tackling those has been where I’ve really benefited because while I think it’s true that I’m not…. How can I ever reach my full potential?! So is coaching worth it? There’s no magic fix button but I’ve seen huge changes over the last 6 months. Seeing progress with my business plans and goals have been great. But what has really helped – and what I feel will have a lasting impact – is making progress with those barriers that have been restricting me. Running everything on my own the last couple of years has been exhausting. With Charlotte as my coach, I don’t feel like I am doing things on my own any more. I’ve got the support and the guidance I need now to make good decisions. And to realise when things might not be as they seem. The highs and lows of running my own business have gone from epic rollercoaster to a steadier gentle carousel ride. With that stability and awareness, I feel like the next year is really going to be the time where I can start to find out what I’m capable of. I can stop giving so much time to fighting demons and insecurities and instead can feel more confident and sure of what I want to do and – with the help of Charlotte – the actions I need to take to make them happen. So, is coaching worth it? I think you know the answer! If you’d like to find out more about Charlotte and her life and business coaching, you can find her on Instagramor the Charlotte Fowles coaching website.